A singer who appeared on the hit television show "The Voice" has died after being shot while signing autographs at a concert. Christina Grimmie, age 22, performed with the band Before You Exit at a show in Orlando on Friday night, according to WKMG in Orlando . Orlando police said Grimmie had been at a merchandise table when the gunman opened fire. 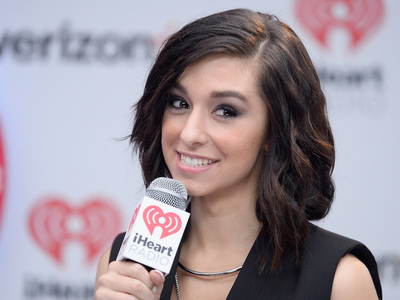 After shooting Grimmie, he was tackled by the singer's brother, then shot and killed himself. Police have not identified the gunman nor said what his relationship to the singer may have been. They credited Grimmie's brother with having saved others from being shot during the incident. Authorities have not said why the gunman opened fire, and an investigation is ongoing. Grimmie was a contestant on 'The Voice" during Season 6 in 2014, according to WKMG . She was on Adam Levine's team and finished third. 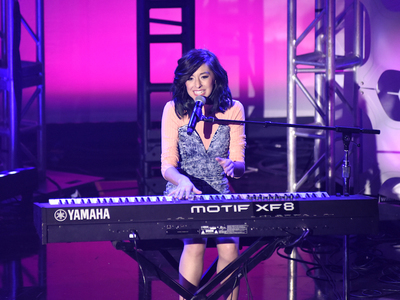 Christina Grimmie auditions for 'The Voice" with "Wrecking Ball"